system with survey navigation, and digital signal processing software package. Compact size and light-weight profile provides versatile airborne operation in rough terrain and on-ground maneuverability where larger and bulkier systems are more difficult to handle. 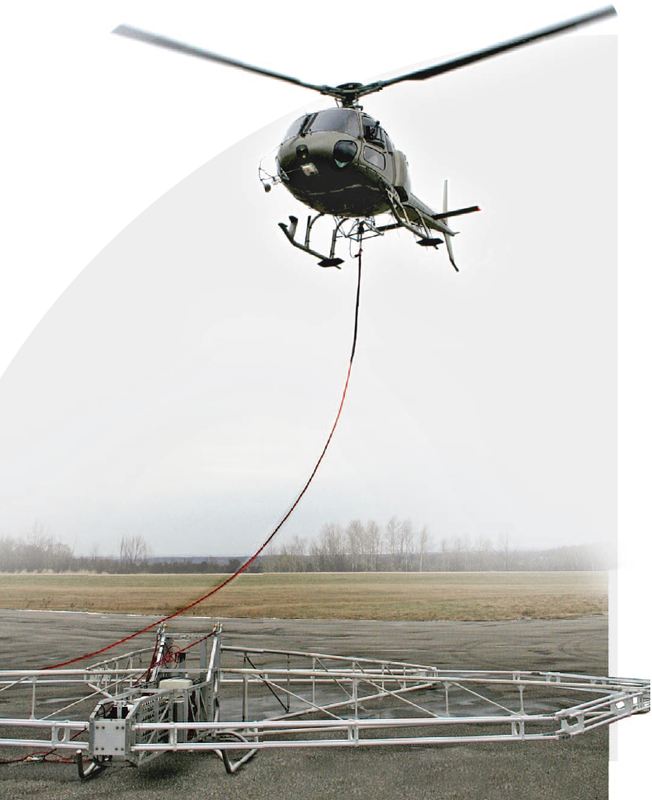 The P-THEM is a helicopter-slung system and can be used by a variety of models like the Bell 206 Ranger, a MD 500 or AS350. conferences and conventions, including AGU, SAGEEP, KEGS and others.